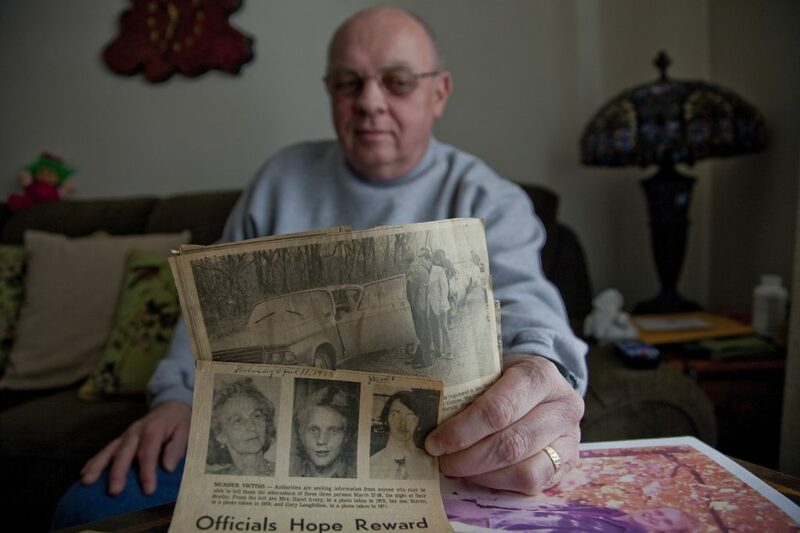 Richard Gwin/Journal World Photo.Lawrence man Gary Avery, 63, was just 23 when his mother, Hazel, and younger brother, Steve, went missing the evening of March 27, 1973. Hazel and Steve's bodies, along with that of Gary Longfellow, were found in near Ottawa two days later. All three had been shot in the head. The case remains unsolved. Other body: An odd coincidence? Just three weeks after the murders of Gary Longfellow and Steve and Hazel Avery, police found the unidentified body of a young man in a wooded area in Anderson County, which is several miles south of the site of the Avery/Longfellow murder. The man had a fractured skull, but police have never been able to definitively say whether the death was caused by a blunt object or resulted from a fall in the woods. Police were never able to identify the man, though forensic scientists developed a DNA profile and composite sketch. Several investigators interviewed for this story believe the the case is just a coincidence, and the young man’s death was unrelated to the Avery/Longfellow case. To learn more about the case, visit the National Missing and Unidentified Persons System. A composite photo of a young man found in Anderson County just three weeks after the Avery/Longfellow murder. The man has never been identified. Photo of Hazel Avery, then 60, shortly before her murder in March 1973. 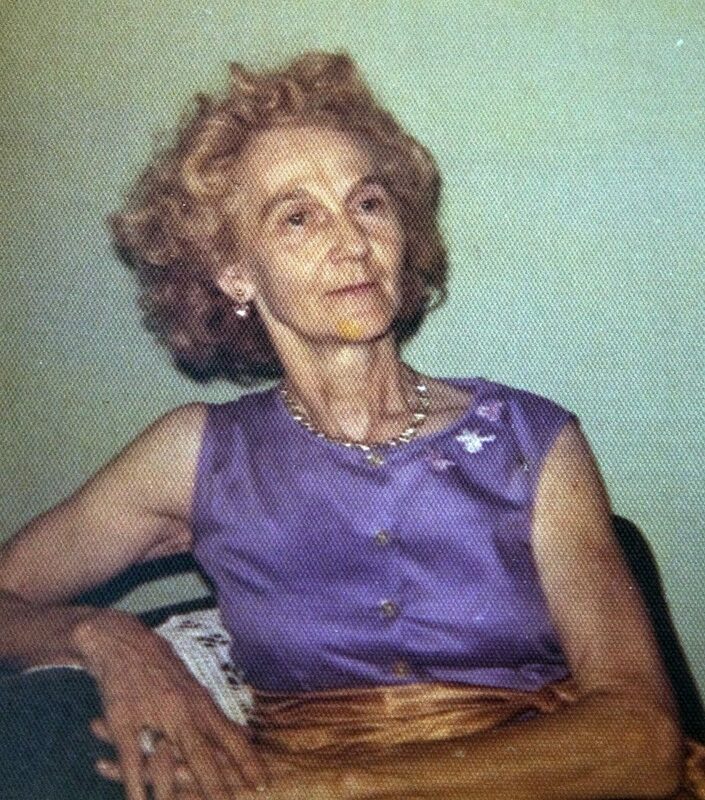 Hazel Avery's 1964 Chrysler sedan was found near Rock Creek, just south of Ottawa. Avery, her son Steve, and family friend Gary Longfellow were all found shot to death in the vehicle on March 29, 1973. 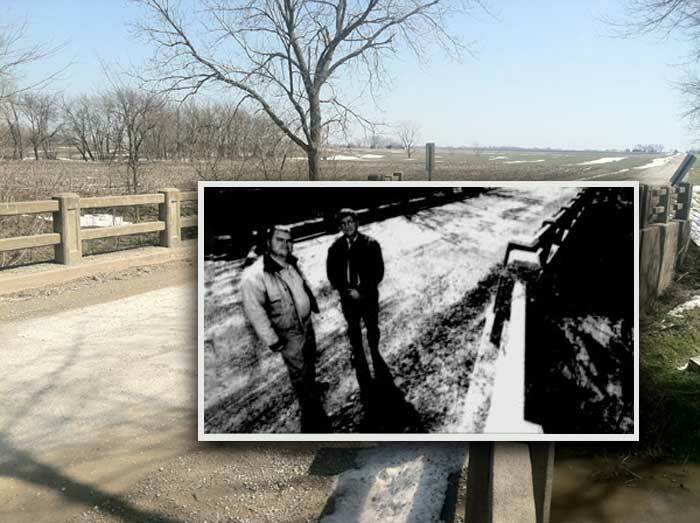 Here's how the bridge near where a triple murder was discovered 40 years ago looks today. 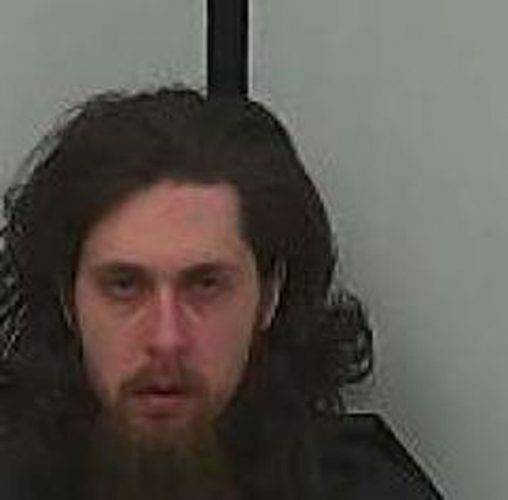 The back and white photo shows Franklin County Sheriff's Office Dep. Brad Gilges and Sheriff Rex Bowling standing near the spot at the 25th anniversary of the crime in 1998. The bridge covers Rock Creek, about a mile south of Ottawa. 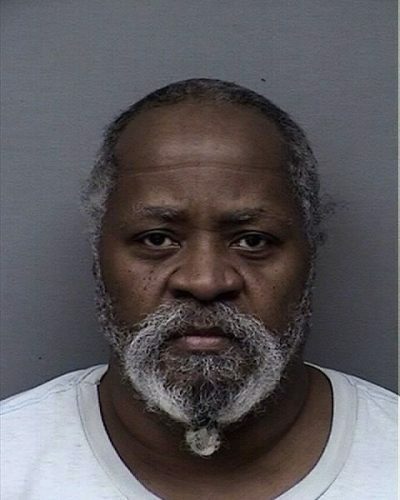 Gary Avery, now 63, was working the nightshift at the Lawrence Paper Company on March 27, 1973, when he received a call that his mother and brother were missing. 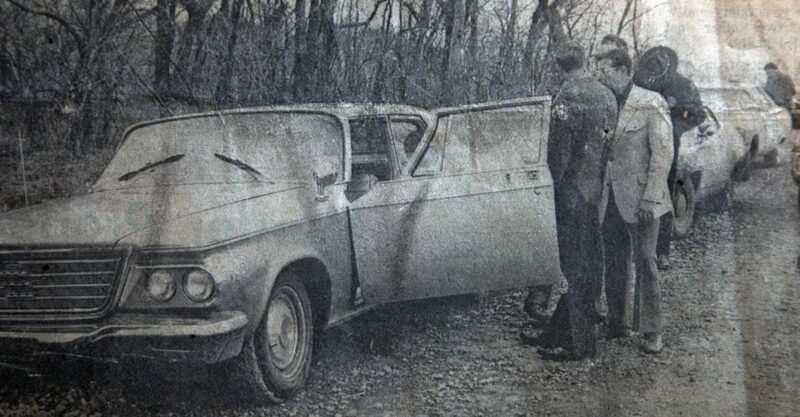 The bodies of Gary’s mother, Hazel, 60, brother Steve, 19, and family friend, Gary Longfellow, 23, eventually were found in the back of Hazel’s 1964 Chrysler, which was parked just off U.S. Highway 59 in Ottawa. The three had been shot to death, execution-style. Police had no apparent motive or suspects, and few leads, in the triple homicide. In the 40 years since, scores of investigators — to no avail — have taken a crack at solving the murder mystery. Who? And, just as important, why? According to accounts from police and family members, Steve Avery was attempting to hitchhike from Iola to Lawrence, on Highway 59, the night of March 27, 1973. Steve was heading north to testify on behalf of his friend, Vietnam War veteran Gary Longfellow, in a paternity suit in Jefferson County the next day. Steve and his wife, Dianne, had recently moved to Iola with their 13-month-old daughter, Stephanie. Following a fight with Dianne, who wouldn’t let Steve take the couple’s one vehicle north to Lawrence, Steve set off on foot with his thumb to the road, a somewhat common practice in the area four decades ago. On the stormy night, Steve’s progress stalled, and he called his mother from a pay phone in Richmond, about 40 miles south of Lawrence. Hazel, a local nurse who lived in the 600 block of Alabama in Lawrence, called Longfellow to accompany her on the trip because of the late night and stormy conditions. They left about 10:30 p.m. Motorists reported seeing Steve walking along Highway 59 two miles north of Richmond, or perhaps south of Princeton near Central Heights Road. After that call at work, Gary and other family members scoured the city of Ottawa and Franklin County looking for the trio, but had no luck. Douglas County Sheriff Rex Johnson, who knew the Avery family, helped coordinate a search. A day and a half later, on March 29, a worker on her commute into Ottawa noticed a large sedan parked on the side of a country road. She called police and the three bodies were found. The crime scene posed just as much a mystery for police and detectives then as it does decades later. Jim Malson, a retired Kansas Bureau of Investigation agent, was in charge of the investigation. Now 76, Malson remembers the details of the case clearly. All three bodies were found with their heads slumped on seats in the car. Hazel, in the front passenger seat, Steve in the rear passenger side, and Longfellow behind the driver’s seat. All three were knelt down on the floorboards, and all had “contact” wounds, indicating that at some point, someone placed a gun against their heads and pulled the trigger. In total, seven bullets were recovered. Steve had been shot twice in the head and Hazel had been shot in the neck, shoulder, and head. Longfellow, meanwhile, also had been shot through the bottom of his foot. Malson speculates that Longfellow had tried to run, or possibly kicked a foot up at the shooter. But as with everything in the case, it was all a best guess, Malson said. “Try to put it together, it just don’t come together,” he said. Motive was the most difficult aspect to pin down in the case, said Jeff Hupp, a retired KBI agent who worked the case until 2010. It wasn’t a robbery, as nothing had been stolen. It wasn’t sexually motivated, as there were no signs of a sexual assault. The murder did have a professional feel to it, Hupp said. Whoever was responsible had to control three people — including two young men. Not an easy task and probably the work of someone with some experience in such matters, Hupp said. But the idea that someone planned such a murder seems improbable. No one knew Longfellow and Hazel were heading to Ottawa, and it seems unlikely someone would have been staking out the two or Steve. Both Malson and Hupp say the investigation showed Steve potentially had an enemy or two. But he had no criminal record, and according to investigators and family members, both Longfellow and Steve appeared to be fairly typical, blue-collar young men. “It’s a heck of a mystery,” Hupp said. Even with advances in evidence-gathering technologies, it doesn’t appear a break in the case will come from any sort of trace or DNA evidence. That 1964 Chrysler, where the killer or killers surely left some evidence of their existence, is long gone. Gary said that after the case, the car was released to their family. But they couldn’t stand to sell the car, and potentially see it traveling down the road one day. So, they had a family friend in the salvage business destroy it. The case is now in the hands of Franklin County Sheriff’s Det. Mike Reed, who picked the case up cold a few years ago. Reed, Malson and Hupp all mention some bizarre tips over the years: A delusional drifter, possible connections to the traveling serial killer duo of Henry Lee Lucas and Ottis Toole, an unpaid gambling debt. But nothing that gained any real traction. Occasionally, they receive tips about the case, including one four years ago that didn’t pan out, Reed said. But he’ll keep taking calls, and exploring leads and tips as they come in. “One just never knows,” Reed said. Malson — who worked the case longer than anyone — has a theory about how that March night so many years ago went so terribly wrong. But he’s not talking publicly about it. Many of the family members with a stake in the case are now deceased. Dianne, Steve’s wife, died of illness several years back. Stephanie, Steve’s daughter, who would be 41 today, died in an automobile accident, Gary said. “I’m the only one,” he said. Gary’s hung onto all the old newspaper articles about the case, and has photos of his mother and little brother close at hand in his Lawrence home. Gary’s only son, Steve, was named after the little brother who was mysteriously and inexplicably gunned down along a country road four decades ago.